Although there are lots of awesome holidays in Ireland when you can experience the tradition of having some craic, there’s no better time of the year to have fun the Irish way than St Patrick’s Day. The holiday dedicated to all things Irish is celebrated all around the world where there are Irish communities (and even some places where there are no Irish to speak of! ), but if you want to have a genuine St Paddy’s Day then you have to go directly to the source. 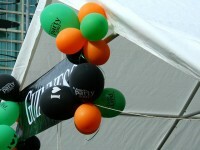 Irish parades on St Patrick’s Day are inimitable – no one knows how to celebrate quite like the Irish. So if you decide to wear green on March 17 on the Emerald Isle, here are the best St Patrick’s Parades in Ireland that will convince you that this is the best day of the year. Considering the considerable amount of friendly rivalry between the Irish capital and other major cities like Cork or Galway, it’s hardly surprising that Dublin goes out of its way to create an unforgettable St Patrick’s Day parade. Of all the St Paddy celebrations in the world, the one in Dublin is probably the most colorful and vibrant – after all, it takes about 18 months to prepare every one of them! 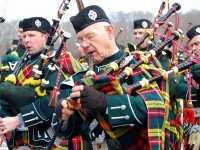 The festivities last for three days, with marching bands, floats, live Irish music, walking tours, films and exhibitions. 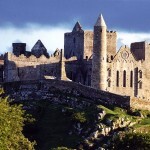 For such a small city, Galway manages to draw a huge number of visitors to its St Patrick’s Day parade – over 50,000! It’s a wonder that so many people can fit on the narrow streets of this medieval city. Galway is steeped into the festival atmosphere weeks before the event, and the parade is the crowning moment of the festival: pipe bands, dancers and street performers that are even better than what you usually see on the streets of Galway, which is quite a feat! The second largest city in the Emerlad Isle naturally has one of the best St Patrick’s Day parades in Ireland – the Corkonians have their pride after all! The festival kicks off two days before St Paddy, and there are all sorts of events, performances and concerts leading up to the parade on the 17th. The floats are more and more colorful every year, there are pipe bands and dance acts, and a great food market for those who get hungry from all that fun. St Patrick’s parades in Limerick have a history of being consistently amazing, thanks to the vibrant cultural life of the city and its different communities. 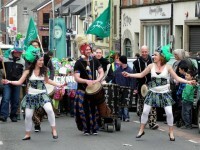 The cream of the crop of Limerick’s musical, dance and cultural scene make an appearance at the parade, which kicks off at noon and marches its way on the length of O’Connel Street. 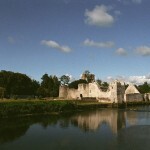 The small town of Navan in Co Meath has its annual Shamrock Festival on St Patrick’s Day – complete with firework displays and boat races on the river. Shamrocks have a special significance for Navan, because the town is so close to the Hill of Slane where St Patrick picked the first shamrock.